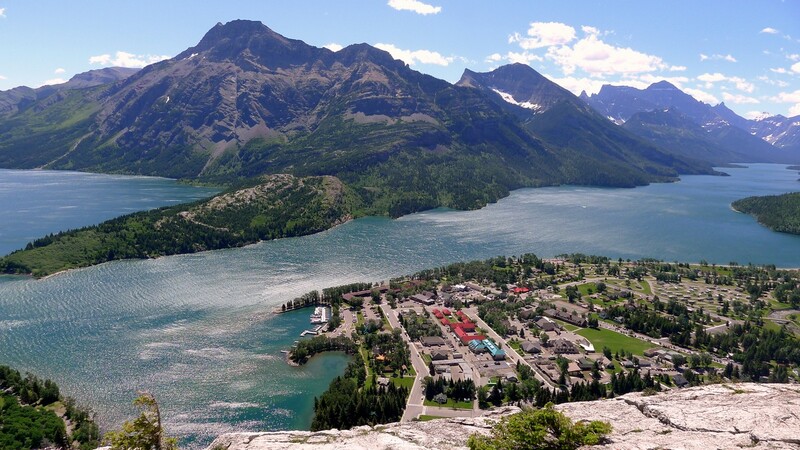 If you want to plan an easygoing, active vacation, consider Waterton National Park in the Canadian Rockies. This breathtaking National Park has a charming townsite that can provide everything you need when booking a great family hiking holiday. Waterton is nestled down on the southwest corner of the Canadian province of Alberta, and it is bordered up against Glacier National Park in Montana. 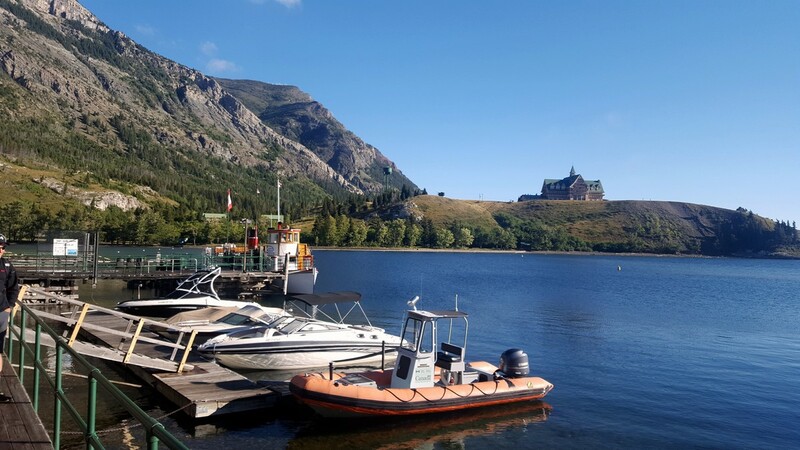 There arent’ any major city centres near Waterton, but the charming townsite inside the park has enough lodging options and outdoor activities to keep the whole family occupied. Note that the Kenow fire damaged the park and the town inside in the summer of 2017. Thankfully the restoration is underway and there are still lots of the park that the brave fire fighters were able to save, including the entire town. As of Spring 2018 most of the hikes we share are closed, and the status of when they will open is not known at this time. 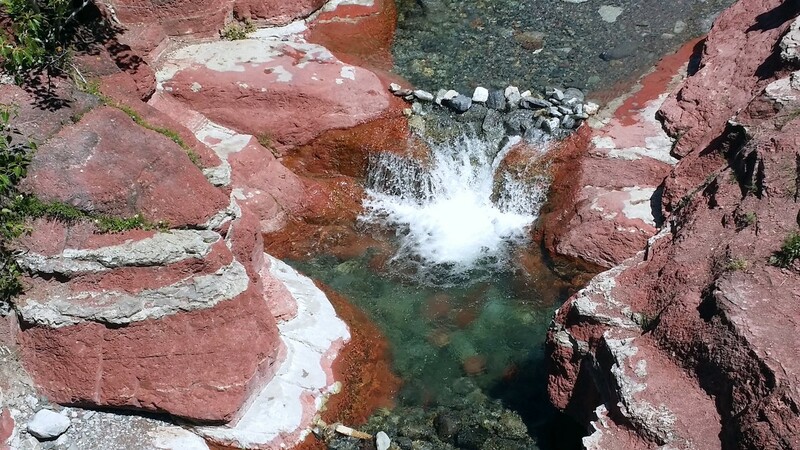 Calgary International Airport (YYC) is the closest major airport at three hours away, and the drive down to Waterton can be a beautiful drive, depending on what road you take. Though it’s longer, we prefer taking Highway 22 south of Calgary down to Crowsnest Pass. It’s more remote and has a wonderful feel. If you don’t want to drive, an airport shuttle service will take you from YYC to Waterton if you don’t have any interest in renting a car. The park is open all-year-round, but in the winter some roads do get closed. We think the best time to visit is between the months of late-May and September. The flora and fauna will be out during that time, and the weather will be most agreeable. You will get more rainy days in May, but the weather will be warm enough to hike comfortably. The months of July and August are going to see the most tourism because school will be out, but the weather will be its warmest then, which makes activities on the lake much better. If you’re a fan of wildflowers, make sure to book your trip for mid-June. To celebrate summer each year Waterton throws an awesome Wildflower Festival. In 2018 it’ll be running from June 14th to June 19th. Because we recommend staying in the townsite itself, the vast majority of our hikes can be accessed by foot or bike. That being said, having a car can be helpful especially if you’re planning to combine Waterton with another area on your vacation. 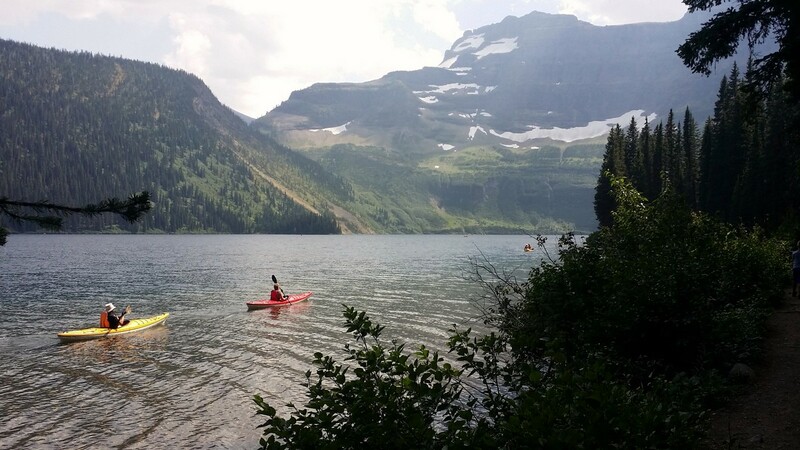 Most tourists combine Waterton with a tour of Glacier National Park in Montana. 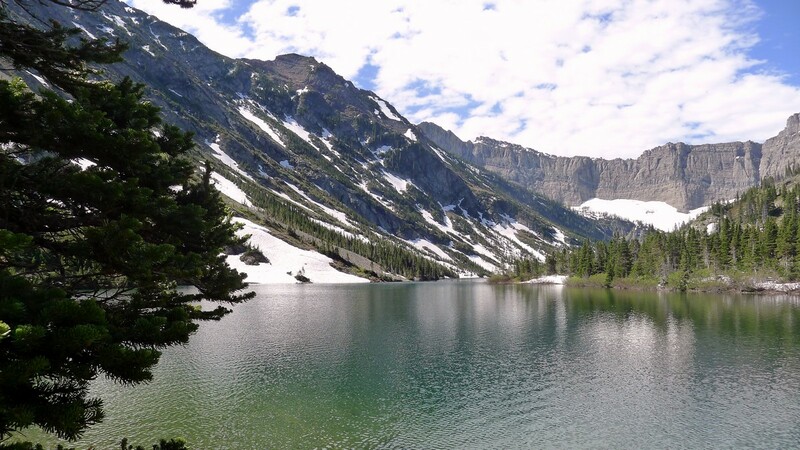 Many people also combine Waterton with a trip to the stunning Banff National Park or Alberta’s Kananaskis region. The Kananaskis Lakes are a beautiful 3.5 hour drive away. No matter what you decide, consider renting, or bringing, a bike to roll from trailhead to trailhead. 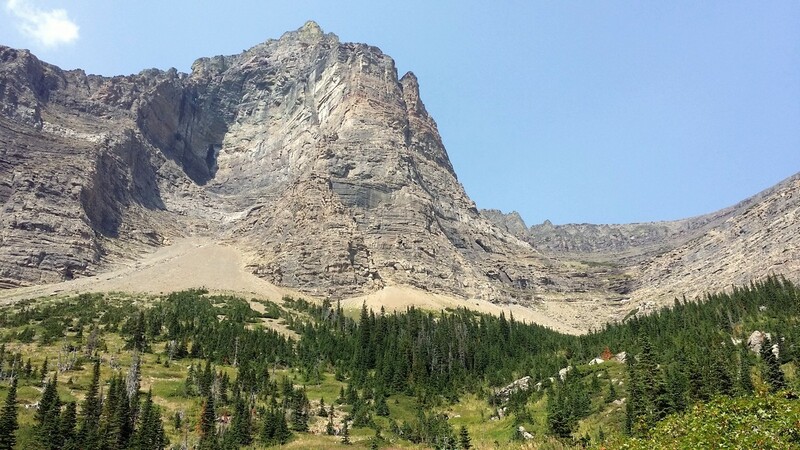 The great thing about the Waterton Townsite is how close it is to some phenomenal hiking. The let down is that hotel prices in the townsite can seem a little inflated. The good news is there is a lot of camping! We do still have three great hotel recommendations. It’s nice being able to put your feet up after a day of hiking. The luxury option in Waterton is the magical Prince of Wales Hotel. Established in 1927, this gorgeous building sits proudly on a backdrop of lakeshore and mountains. The rooms are relatively updated and spacious. They also have a high tea that is worth checking out, even if you aren’t staying at the hotel. A good mid-range family option is the Waterton Lakes Lodge Resort. They have lots of different room options including rooms with kitchenettes. They also have a pool and fitness centre that is quite nice. Another good option is Waterton Glacier Suites. The distinctive green roof is pure Canadiana, and this smaller hotel has great service, but it can be challenging to get reservations unless you book well ahead of time. And for a something a little more affordable, try the Bear Mountain Motel. Located outside the park in Mountain View, the rooms aren’t quite at the same level as the other hotels listed, but we found all the staff at the Bear Mountain Motel to be amazing. If you want to camp while retaining the proximity of the hotels look to the Townsite Campground!  Now, this campground is amazing for those with campers or RVs, but for those with tents, try the Belly River Campground. Check out the Government of Canada’s Waterton Camping page for more info and how to book a site at either location. There are a surprising number of restaurants in this charming town. We were able to find a great option for anytime of day. For breakfast we loved starting our day off right with Pearl’s café. They had good coffee and breakfast Paninis. It’s not fancy but it’s filling. When you have a big day of hiking, this is a great way to get your day started. The best lunch in Waterton, in fact perhaps the best meal in Waterton, is Wieners of Waterton. Everything is made fresh and to order. We’ve never seen this much care go into a hotdog (outside of a major metropolis of course). We absolutely loved it here. Our favourite bar in Waterton is the Thirsty Bear Socialhouse. The airy room and Canadiana were very charming. It’s average bar food, but we all need that level of comfort from time to time. For something a little more upscale try the Lakeside Chophouse. We preferred this to the Royal Stewart Dining Room, but both are pretty good if you want a nice steak or something with some finesse to it. For desert, if you want to treat the kids or yourself, head over to Waffleton. There are waffles and ice cream and a group of really fun staff as well. They are decadent waffles, which might be exactly what you need after a hard hike. 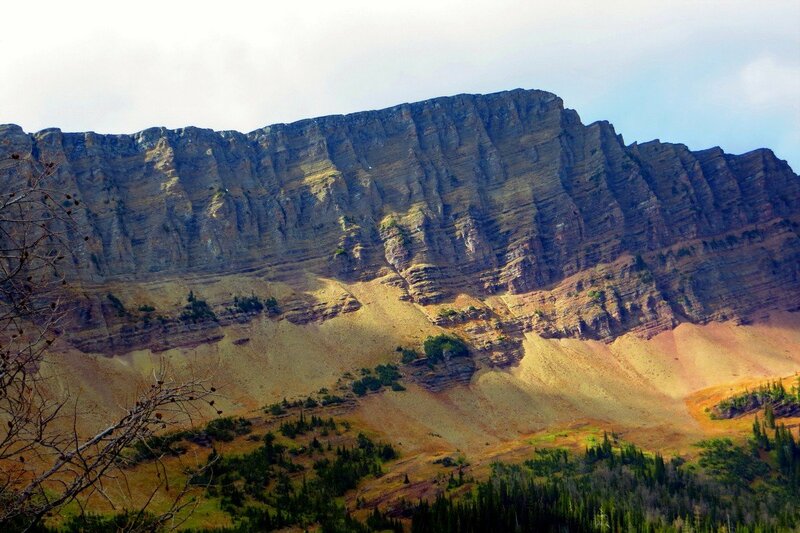 WHAT ELSE CAN YOU DO BESIDES HIKING IN Waterton Lakes National Park? 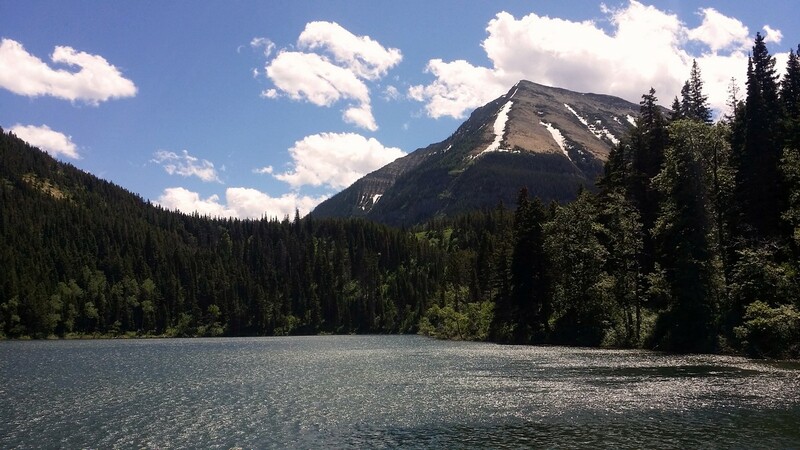 There is plenty to do in Waterton. To start with the obvious, the big beautiful lake next to the townsite is great for canoeing, kayaking, or paddle boarding. We love going to the folks at Blakiston and Company for any gear we need. 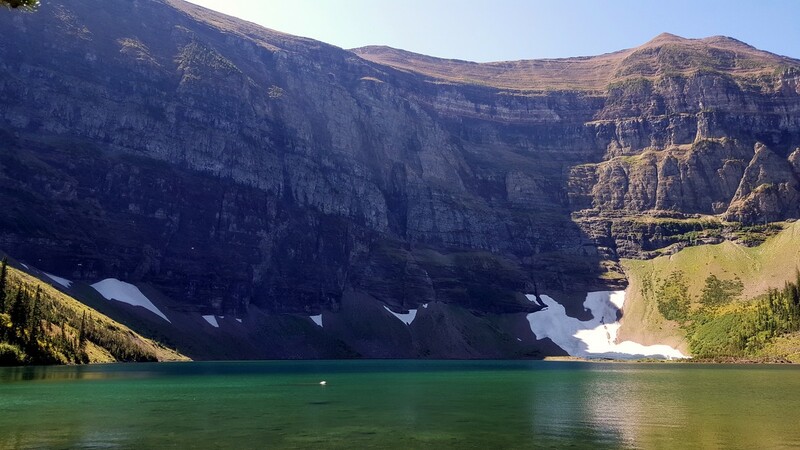 If you want to see the lake without the workout get in touch with Waterton Shoreline Cruise Co. Their boat dates back to 1927 and it’ll take you all the way into Montana! It’s a pretty neat experience. It’s quite popular to experience some of these, and other, trails by horseback. It’ll make you feel like a frontiersman. Check out Alpine Stables for guided, trail, horseback riding. If you did happen to rent a car, try driving around to the Bison Paddock. For those who haven’t seen these majestic creatures up close, this is a must do. It doesn’t cost you a dime and it’s worth doing if you need a break from hiking. Then, after all your adventuring, treat yourself to some relaxation. The Serenity Spa is located in the Bayshore Inn and has all the basic services you need to get relaxed and rehabilitated after a series of big hikes. No other national park in Canada protects as much wildlife in such a small area. This effort by Parks Canada enables visitors to see everything from bighorn sheep to grizzlies. 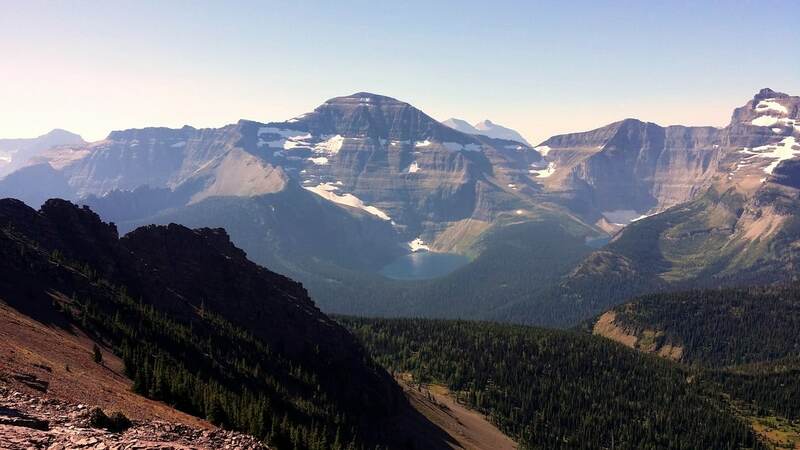 On its southern border, the park connects with Glacier National Park in Montana, forming the world’s first International Peace Park.